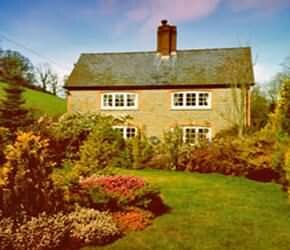 Builth accommodation in friendly Builth hotels, B&B, Bed and Breakfast, homely Guest Houses, cosy Holiday Cottages, congenial Country Pubs and Inns, luxurious Builth Country House Hotels and Caravan and Camping sites. A warm and friendly welcome is what’s on offer in the hotel. Kath, Eileen and staff will welcome you to the hotel and will do their best to make your stay a home from home experience. This hotel built in the seventeenth century is full of character; uneven walls, floors a friendly ghost and friendly locals. 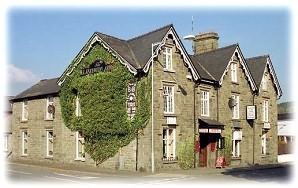 The Llanelwedd Arms Hotel is the nearest hotel to the Royal Welsh Showground, a friendly hotel run by the same staff for over a decade. Offering good food and ensuite accommodation, the chef and staff have a tremendous reputation for excellent choice of food and service, it is always advised to pre-book a table. There is great walking country too - we are within walking distance from the Wye Valley Walk. Trericket Mill Guest House is a grade 2 star listed Georgian watermill that used to grind corn for Llangoed Estate. Although it has not been used as a working mill since the 1930s, the original machinery is still in place and the guests' dining room has been created amongst the jumble of grain bins, gear wheels, shutes and shafts. Our breakfasts are relaxed and leisurely, so don’t worry if you need a lie in! Start by helping yourself from a selection of fruit, cereals and yoghurt and then choose from our varied breakfast menu; maybe the “Full Monty” including our original bean, basil and tomato sausage, or croissants and baguette fresh from our kitchen range with Welsh cheese and home-made jam, or (if they are laying!) one of our own duck eggs either boiled or scrambled on toasted home-made bread. If you fancy eating at the Mill in the evening we can provide a three course vegetarian evening meal or simple supper option. Tom’s and Annie’s rooms (twin and double) named after Thomas Davies and his wife, the last millers, are accessed via a wooden spiral staircase, have original fireplaces, beamed ceilings, hand-crafted beds and views across the River Wye towards Radnorshire and the 13th century church at LLanstephan. Both rooms are ensuite with continental baths and showers above. 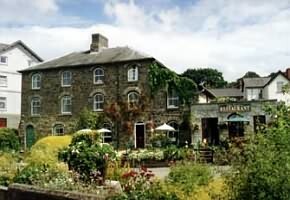 The sunny Mill room (double) next to the stone floor, is also ensuite and opens onto a timber veranda with tubs of flowers, a table and chairs and sheep grazing the steep fields beneath Mynydd Forest. The comfy guests' lounge has a wood burning stove, TV, stacks of information on the local area, and complimentary hot drink making facilities. Visit Wales Walkers and Cyclists Award. Member of the Vegetarian Society Food and Drink Guild. Green Dragon Environmental Standard Level 2. The Cedars will provide the ideal place for that quiet break you have been promising yourself. All our bedrooms have been tastefully decorated to feel like a real "home from home", each having refreshments and colour television. Most rooms are also en-suite. We have single, twin, double and family rooms, all with television and kettle, cups etc so you can make tea or coffee, and can cater for your party however large or small. In our restaurant, we specialise in a Traditional Menu, with most of the vegetables fresh from our own garden. We always wish your stay to be a happy one, and would be pleased to meet your dietary needs wherever possible. We are on the Wye Valley Walk, a long distance footpath which runs between Plynlimon and Chepstow, and offer a baggage transfer service for guests who are travelling along this route. The Fron is a Luxury Five Star Country House Hotel that is situated near Builth Wells in the valley at the foot of the Epynt, offering magnificent views of the surrounding countryside in Mid Wales. At The Fron you will experience peace and tranquility in this idyllic location, or for the more energetic a full range of activities are available in the local area. As well as their Hot Tub, The Fron boasts 3 sumptuous bedrooms, all ensuite. Rooms are equipped with TV/DVD player, radio alarm and tea & coffee making facilities. A most comfortable double or twin bedroom. It contains a wardrobe, dressing table, bedside side tables and chest of drawers. There is an en-suite bathroom with a shaving point. This bedroom has superb views in two directions towards the Epynt and the Irfon Valley. A tastefully decorated double bedroom with views to the west. It contains a wardrobe, dressing table, bedside side tables and chest of drawers. This bedroom has an en-suite bathroom with a shaving point. A double bedroom containing a dressing table, bedside side tables, chest of drawers and a built-in wardrobe/storage cupboard. There is also an en-suite shower room. This bedroom has a stunning view over the Irfon Valley. Your host, Sylvie, will welcome you as though you were visiting family. She is renowned in the area for her catering expertise and all meals are prepared using fresh, locally sourced produce. If you wish to enjoy a home cooked evening meal, it is available with vegetarian and special diets catered for on request. Please advise when booking for any special requirements. The Fron has a Fishing Lodge, and is a good area to view Red Kites and Buzzards. Dave and Aly welcome you to Gromaine Cottage B&B. Our Bed and Breakfast is situated alongside the River Wye excellent for fishing, within easy reach of Builth Wells with the Royal Welsh Showground, which holds many events throughout the year. There is also the Wyeside Arts Centre. We are also on the Wye Valley way and cycle route number 8. Here is a cheerful and friendly place to rest your weary feet. All our rooms our well maintained, comfortable and ensuite. We include a great cooked breakfast .We can also provide tasty, home-cooked evening meals of your choice with notice given. The surrounding area is a place of Scientific Interest, home to otters, kingfishers, kites and other wildlife. All rooms have complementary tea, coffee and hot chocolate facilities. Radios are also provided. Bath towels and toiletries are provided for all our guests. Our rooms are kept warm and comfortable and to a high standard, just how you would like it. Evening meals of your choice can be provided, with prior notice. Part of the adjoining building was used as the architects / engineers drawing office during the construction of the Elan Valley reservoirs. Upon completion of the dams, the building was taken down and rebuilt for Sir Marchant Williams as a games room, accessed through the current ‘private dining’ room. Individually designed bedrooms and stunning bathrooms with underfloor heating. Sumptuous beds, luxurious linen and superb toiletries to pamper. Flat screen tv / dvd players and internet access. Unique, relaxed and informal style of hospitality but with attention to detail still being of paramount importance. Dinner, Bed and Breakfast from £95 per person per night based on 2 sharing a double room. Strictly no smoking throughout. Unfortunately, the Drawing Room is not suitable for children under 12 years. Cancellation policy - If less than 48 hours a full charge will be made if the room cannot be re-booked. Gaer Farm Holidays offers Bed & Breakfast & Self Catering Giving you a number of different ways to enjoy a break in some of the most spectacular countryside in Mid Wales. With open natural moorland, rolling hills, oak and pine forests and amazing lakeland scenery all nearby, and a number of different options for your accommodation. 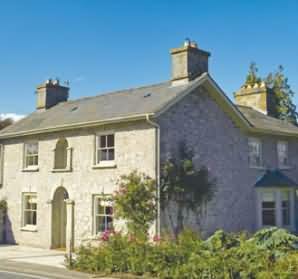 Gaer Cottage was the original stone dwelling which has been renovated to a high standard offering self catering accommodation with views of the valley from the lounge. The Bwlch, nearby, is a single storey property offering self catering accommodation on one level with panoramic views of the surrounding hills, in the heart of red kite country. The Gaer farm house is a lovingly converted, stone and timber barn offering Bed and Breakfast and evening meals in a dining room overlooking the valley. 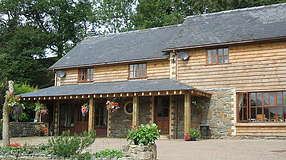 Gaer Farm Bed and Breakfast Family room with a double and a single, with en-suite bath and shower. B&B from £25 per person per night . There are a handful of pitches in the orchard around the bunkhouse suitable for tents and small camper vans. The showers and toilets are shared with any guests staying in the bunkhouse and campers are welcome to use the drying room in the old turbine house at the back of the Mill to dry any wet clothes. If you don’t fancy cooking for yourself you can always treat yourself to one of our delicious veggie breakfasts or evening meals (subject to space in our dining room). We have a number of fire barrels in the orchard and are happy for you to make a fire in these if you wish; we can supply bags of logs for this purpose. We keep a family of ducks who provide eggs for our breakfasts; please keep any dogs and children under control and prevent them from chasing or eating the ducks! • £5.50 per person per night. • Discount for children depending on age. 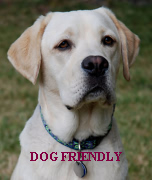 • Dogs £1 per dog per night (must be booked in advance).